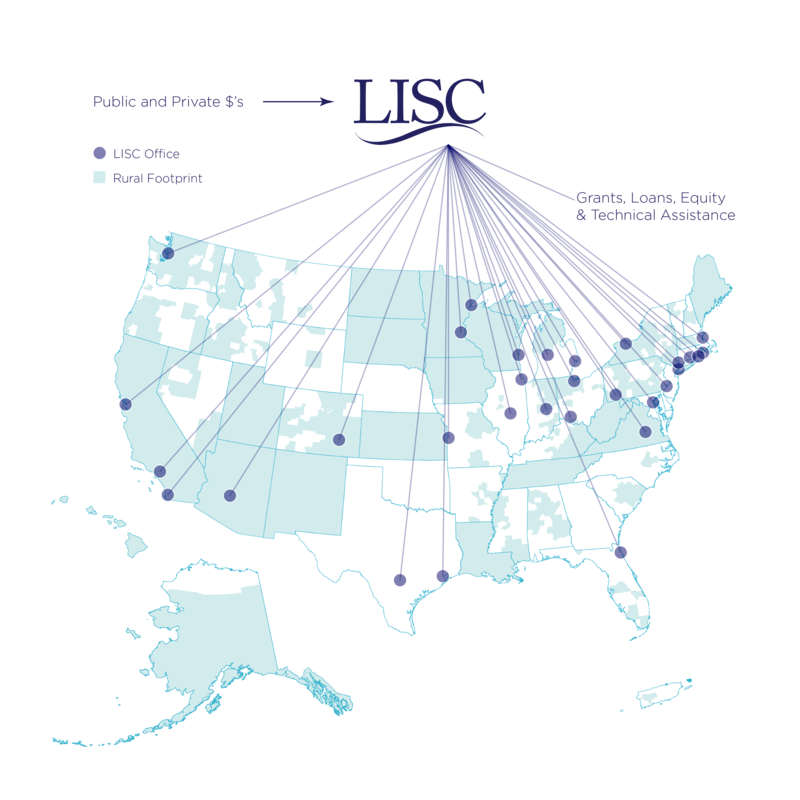 ​LA LISC is one of 31 offices of the Local Initiatives Support Corporation, a national non-profit organization supporting community development in cities and rural areas throughout the country. We serve as an intermediary, building bridges between our local non-profit partners and the resources they need to transform underserved neighborhoods into thriving communities of opportunity and choice. We receive our funding from banks, corporations, foundations, and government agencies. We partner with community organizations, private developers, local government and schools to invest those funds in affordable housing, economic development, health and recreation, capacity building, and strategic planning efforts. This comprehensive approach builds more resilient communities throughout Los Angeles.